What is it about going off road that gets us all so excited? 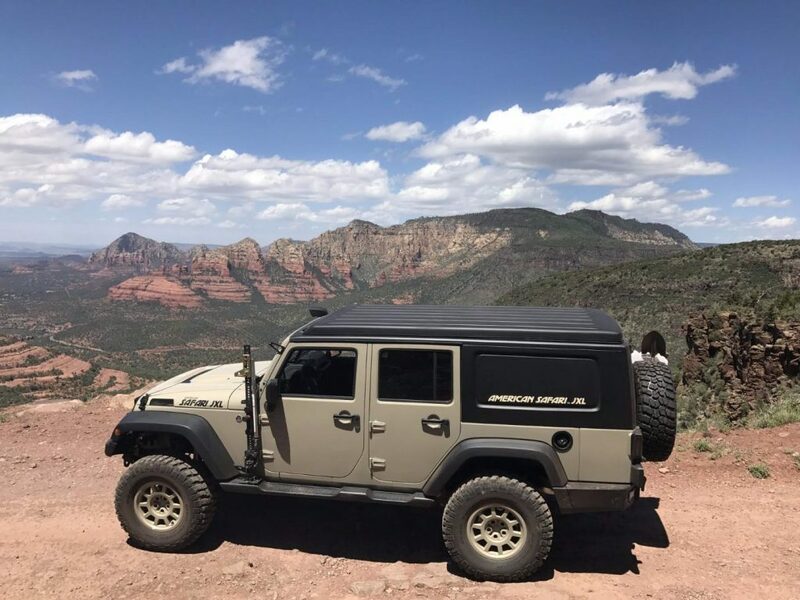 Few feelings can compare to jumping in an off road bus and driving through the rocky mountains, or heading deep into a dense forest in a jeep camper conversion with your off road trailer in tow. Van life has always been about challenging the unknown and finding that perfect parking spot, which is probably why the off road rv is so sought after by vandwellers around the world. There’s plenty of off-road thrill seekers in our Van Lifers and Weekend Warriors group on Facebook, and these photos of the all-terrain Jeep Wrangler Camper. Built like a tank and with all the looks of one too, the Jeep Wrangler Camper looks set to make a big noise on the overland scene. A big name in the American market, this camper conversion could be the one that finally brings Wrangler back into the forefront of the off-road fold. Texas-based ‘Red River Rigs’ are confident of bringing about this change with the arrival of the American Safari JXL. Meet The Jeep Wrangler Camper – The Newest Off Road God? From the Overland Nissan Titan XD to trusty Four Wheel Campers, overland vehicles are the behemoth Goliath’s of the camping world. 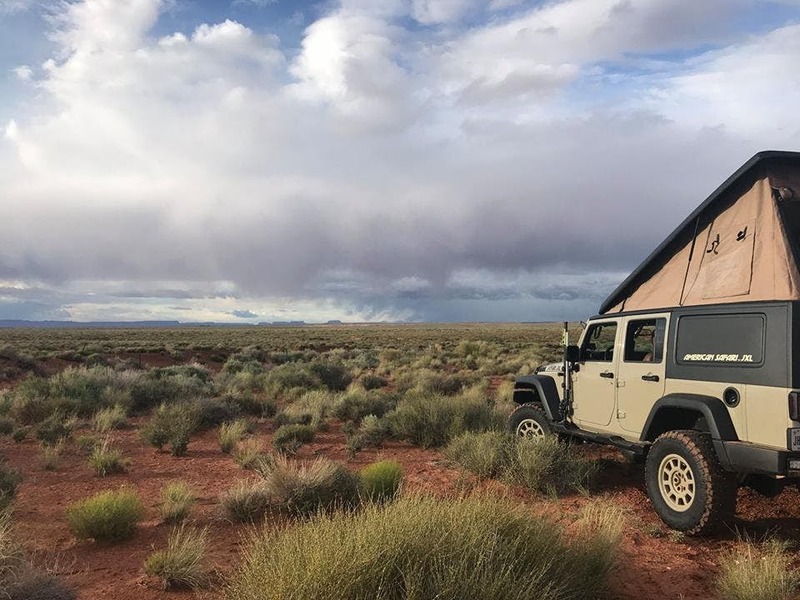 The bolt-on conversion kit for this Jeep Wrangle Camper instantly creates a 4-person sleeping quarter and increases the cargo room by over 50%, but more about that later. Many Wrangler conversion kits from Europe, but American owned ‘Red River Rigs’ are ‘making Wrangler great again’. The American Safari JXL features the best off-road gear that your after-market dollars can buy…. 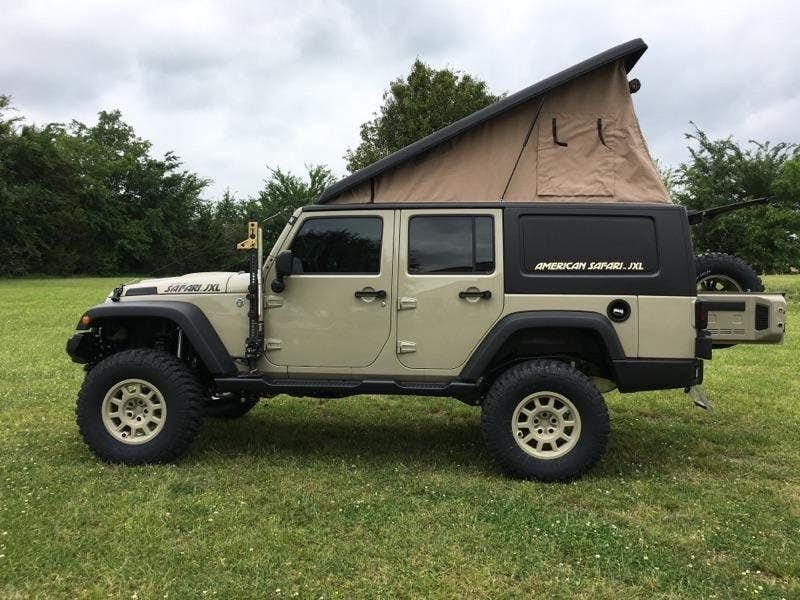 The main build of this Jeep Wrangler Camper is based around a poly-shell that can bolt onto the back of any JK Wrangler Unlimited vehicle, giving you instant access to a pop-top roof with a handy bed built in. It’s spacious, looks comfy enough, and provides a great space to lay and look out at the night sky. With an air inlet pipe, spare tyre storage, and tyres that could rip-roar straight up a mountain, the American Safari JXL could give adventure bus on the market a run for its money. 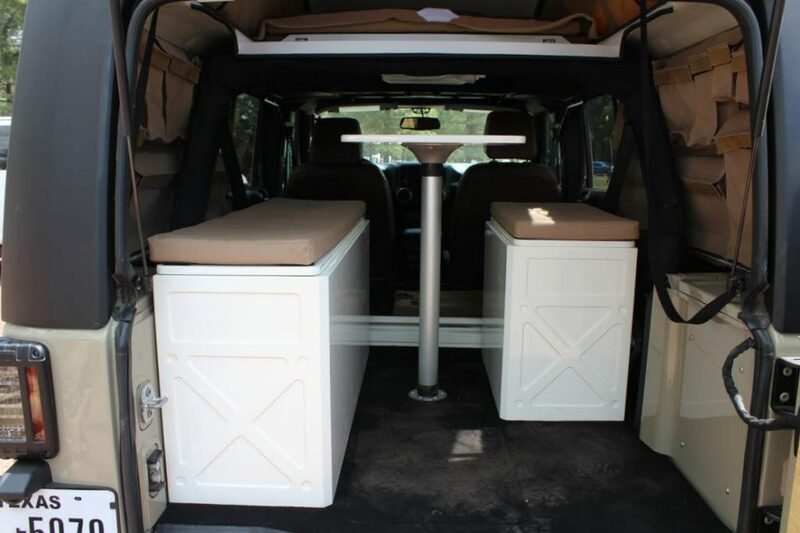 This Jeep Wrangler Camper also comes with extra outboard storage facilities, such as a towel and dishes rack, and even provides a place to hang your camper shower or any other van life essentials that might help you on your journey. 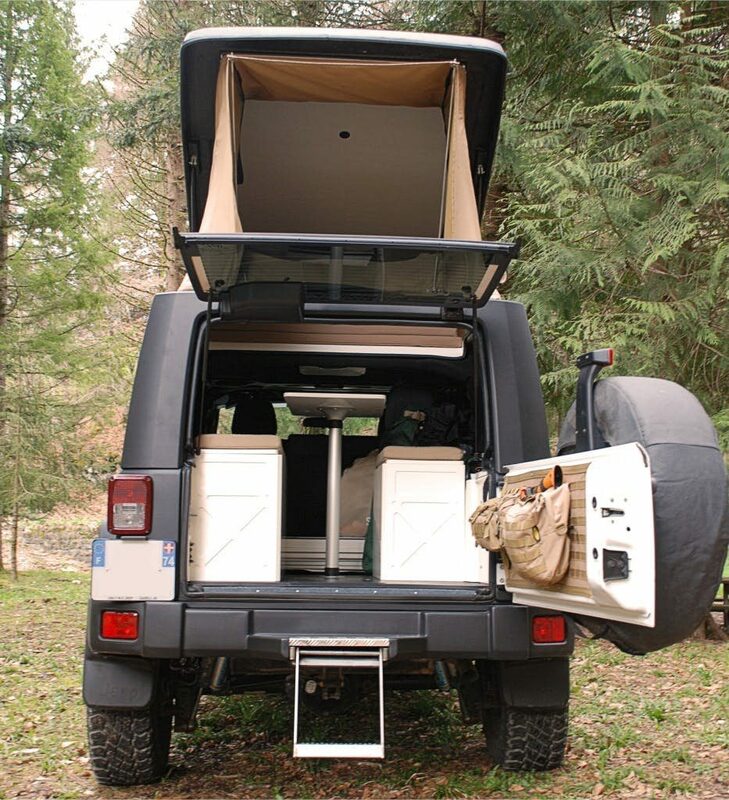 What’s Inside this Jeep Wrangler Camper? The slightly disappointing thing about this Jeep Wrangler Camper is the design of the interior, but then again, if you’re planning on spending more time in the great outdoors than in your off-grid tiny home, then you’ll probably appreciate the simple design and no-nonsense approach to living off the grid. The pop top bed area creates more space to stand up inside, which is always a saving grace in any camper. There’s a beige countertop with an integrated sink and cooker for using your top cooking accessories indoors, and plenty of cargo space to store a unit like the iKamper Eatout for when the elements are being kind to you. 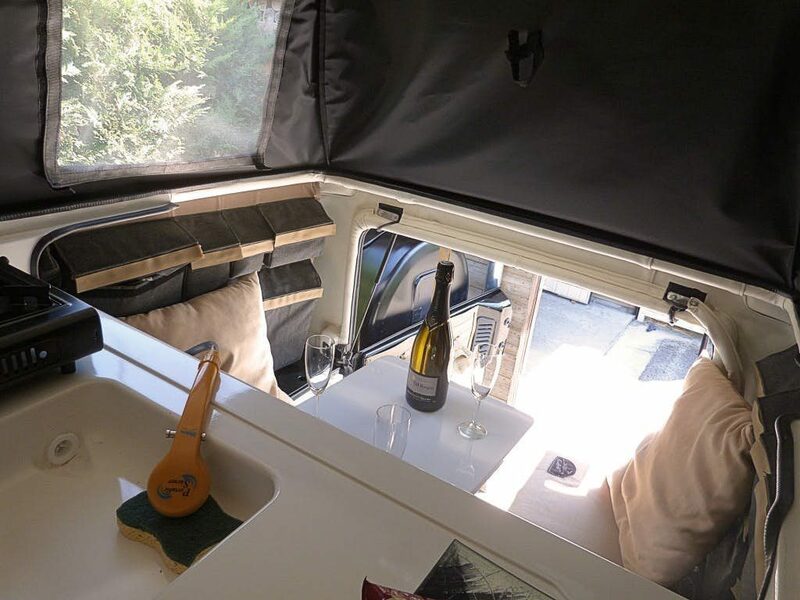 The cupboard and table units are a little boring to look at, but they get the job done without taking up too much room, and the fold away table makes space for another lower-level bed that can comfortably sleep two, making this a family camper for the adventurous vanlifers amongst us. That’s pretty good going to say that a lot of high-end luxury campers only have room to sleep two people and can only just get over the bump outside a Walmart parking lot. 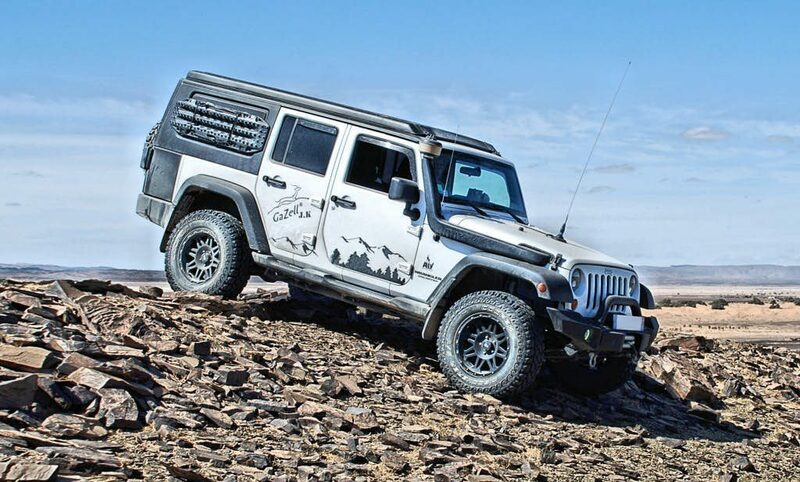 The American Safari JXL takes all of the best parts of the European ‘mall-crawler’ style JK Gazelle package and supercharges them, creating an off road package that you can add to your four-wheel drive vehicle with ease. 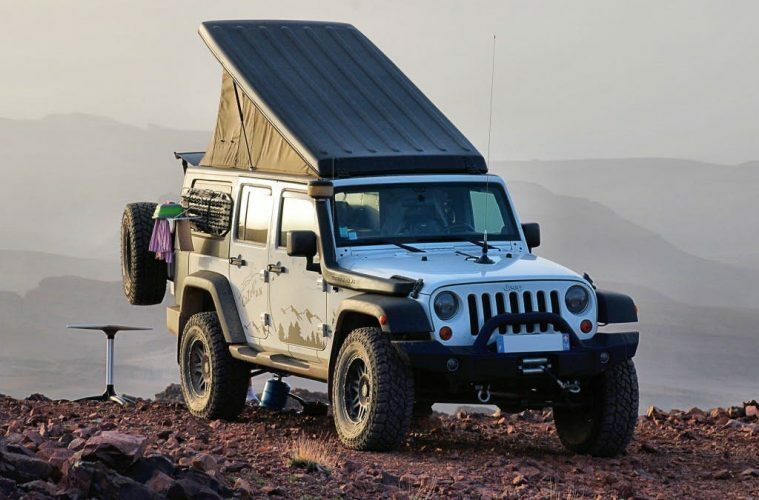 Like the Four Wheel Campers in the YouTube video at the end of this article, this Jeep Wrangler Camper kit can be removed whenever you want to reset back into ‘daily grind’ mode and can be stored away until your next trip into the wild. If it were me, I’d get myself a truck and go for a Four Wheel Campers pod every time. They are set out for long term living in a much better way and come with way more gadgets and power for off grid living. In the meantime, I’ll keep parking on level ground and going over the odd bump in my Vauxhall Movano, but we certainly wish Red River Rigs the greatest of luck in their future ventures. 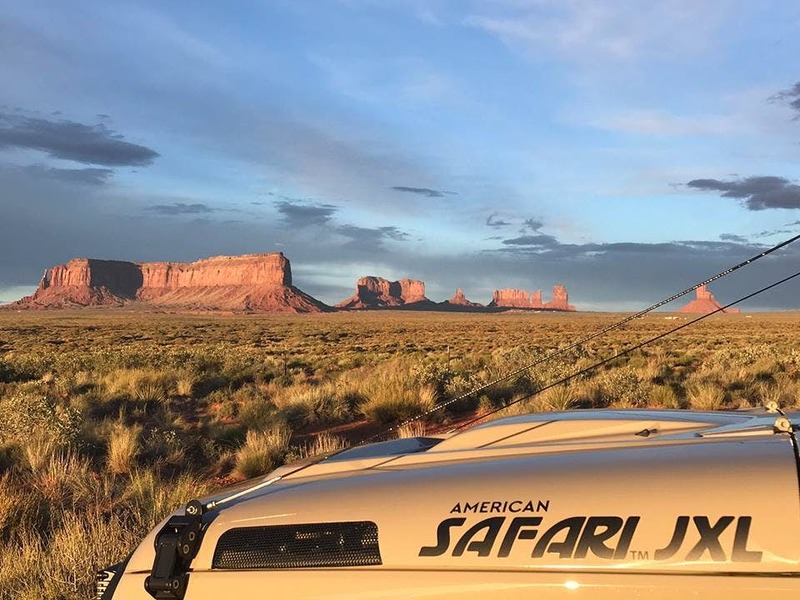 Check them out for more information on their conversions and to find out more about the American Safari JXL! These are the top vanlife blogs that you need to be following in 2019. This is the most stunning VW California Camper that we’ve ever seen! Do you like heading into the wild? These travel backpacks were made for off-grid living.